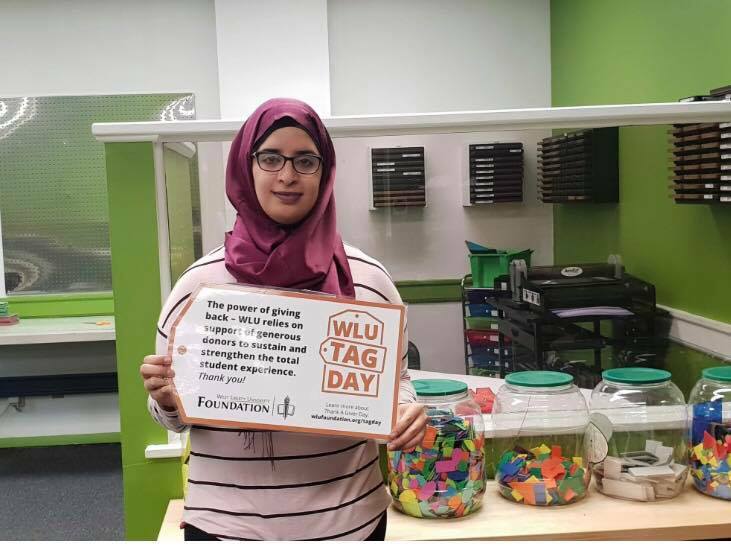 TAG DAY 2018 was a sucess! 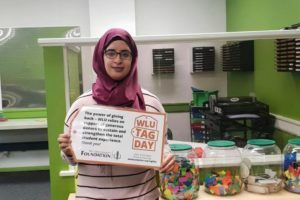 TAG Day or Thank-A-Giver Day gives students, faculty and staff a chance to share appreciation with our donors through social media and written thank you notes. 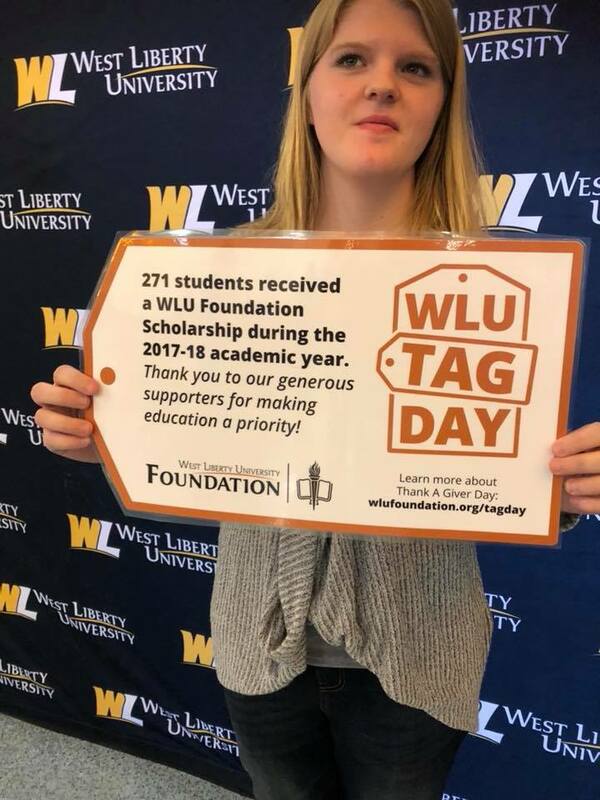 Tags will be displayed throughout campus — in classrooms, on campus landmarks, buildings and more — to serve as a reminder that donor generosity strengthens WLU in many different ways. 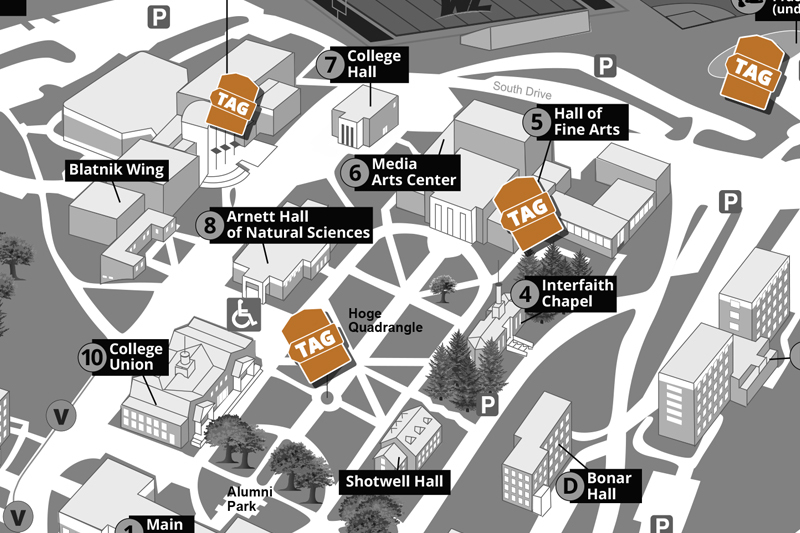 Look for tags scattered on campus. It won’t be hard to run into one! 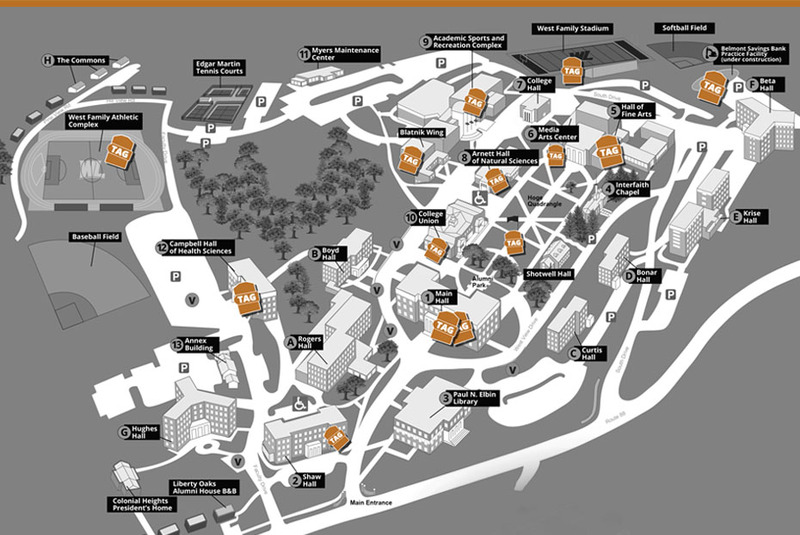 Check out the TAG map in the College Union. 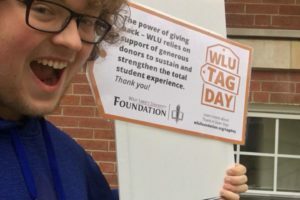 See how donor generosity impacts campus life. 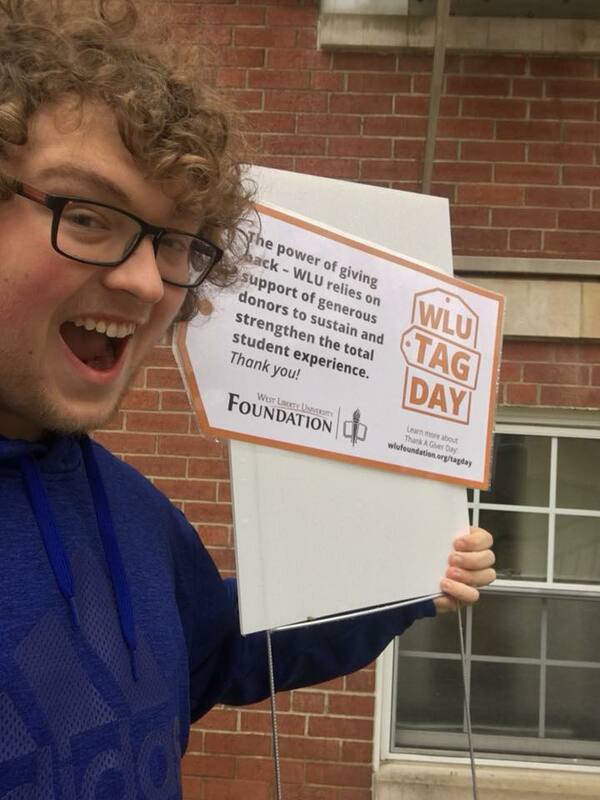 Stop by College Union from 11 am – 2 pm to share your selfie and learn more about the benefits of giving. 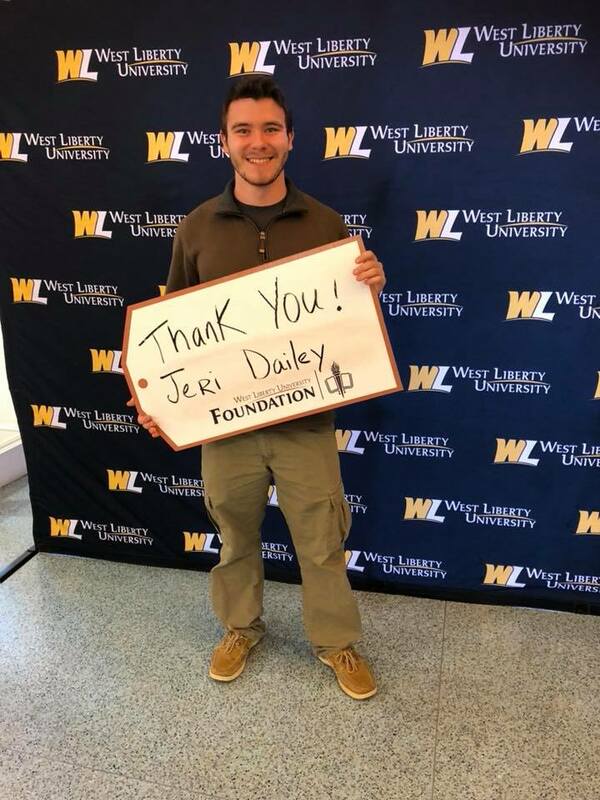 Check out West Liberty University’s Facebook page on November 15 to see how we say Thank You to our donors. Then share our posts so we can show the world how grateful we are to our generous friends. 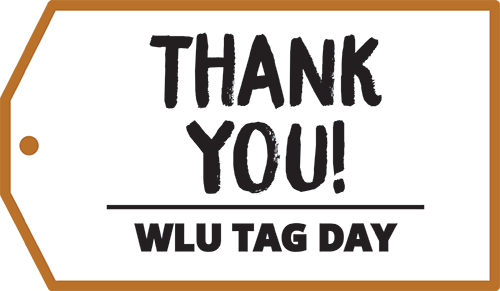 #WLUTAG says thank you in a very special way! 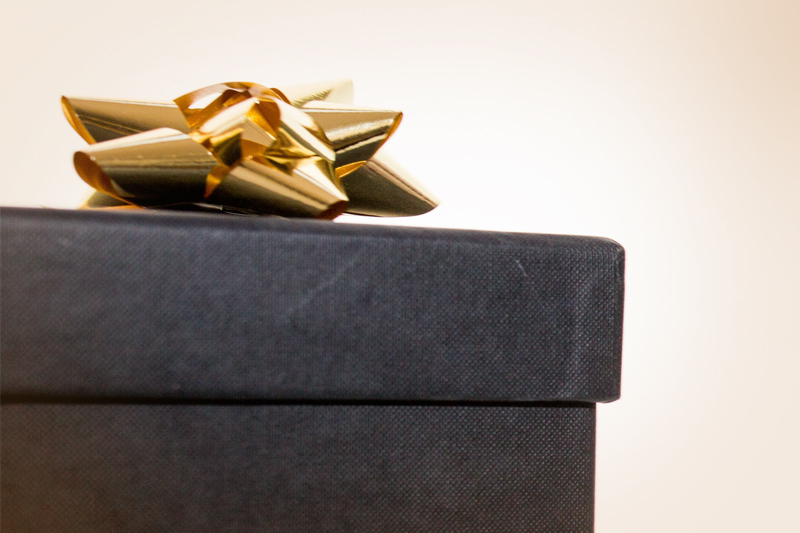 By the way, thank YOU for taking the time to join us in our day-long expression of gratitude! Arnett Hall renovations were made possible by generous support of alumni, family, faculty & friends! Thank you! The West Family Athletic Complex. 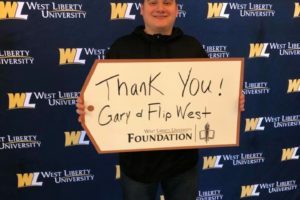 This area was made possible by Gary & Flip West. This facility will serve athletic teams and the entire WLU student body by providing student and community recreation and wellness opportunities. Thank you! Donations to the Women’s Basketball Program provided technology, locker upgrades & more. Thank you to our generous supporters for making it happen! An EKG machine was paid in part by gifts from alumni & friends. Thank You! This new multipurpose facility was made possible by a generous donation from Belmont Savings Bank. Thank you! Wrestling Office Renovation – Made possible by generous donations made by alumni, friends and partners of WLU. Thank You! 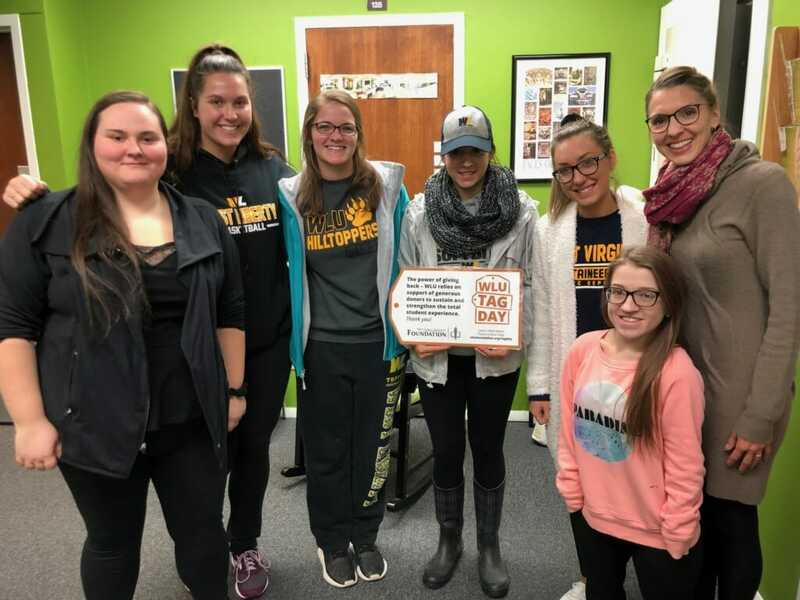 Your support of the Dental Hygiene Program helped provide scholarships and several other initiatives. 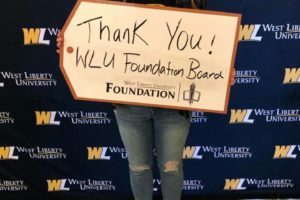 Thanks to our generous WLU supporters for making education a priority! 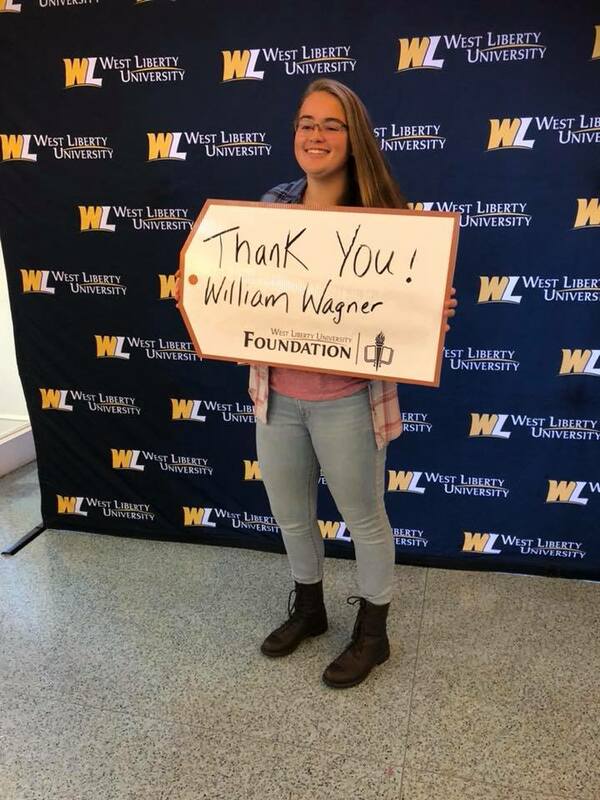 The power of giving back – WLU relies on support of generous donors to sustain and strengthen the total student experience! Contributions from generous alumni, friends and partners of Kelly Theatre helped with plans to convert a classroom into a dance & performance studio. Thank you! The purchase of 100 new computers for the Gary E. West College of Business was made possible with private support. Thank you to our generous donors for making education a priority! 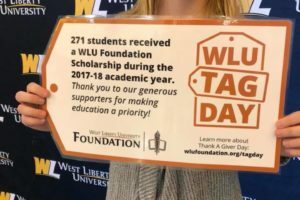 271 students received a WLU Foundation Scholarship during the 2017-18 academic. Thank you to our generous supporters for making education a priority! 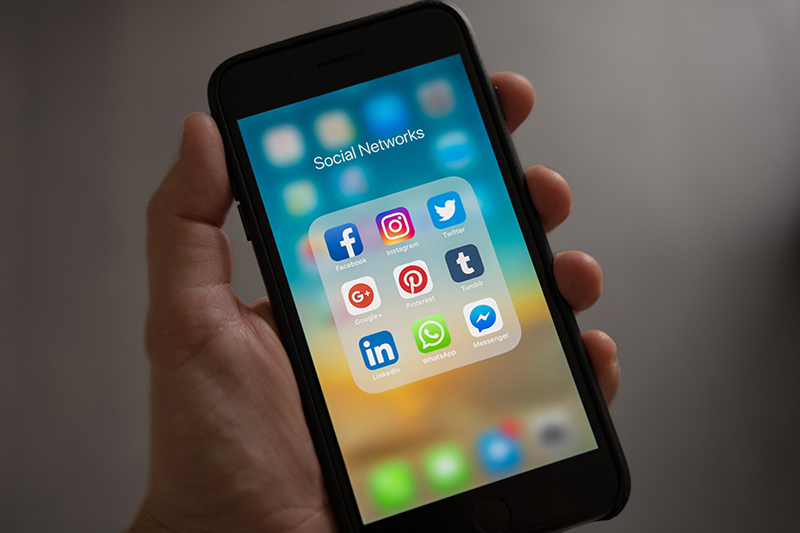 A variety of technology upgrades completed in the Gary E. West College of Business was made possible with private support. Thank you! 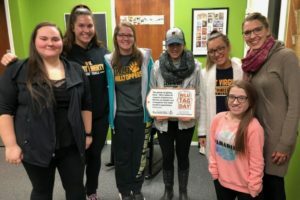 The Recording Studio upgrades enhanced the learning experience for WLU students and help support recruiting efforts. 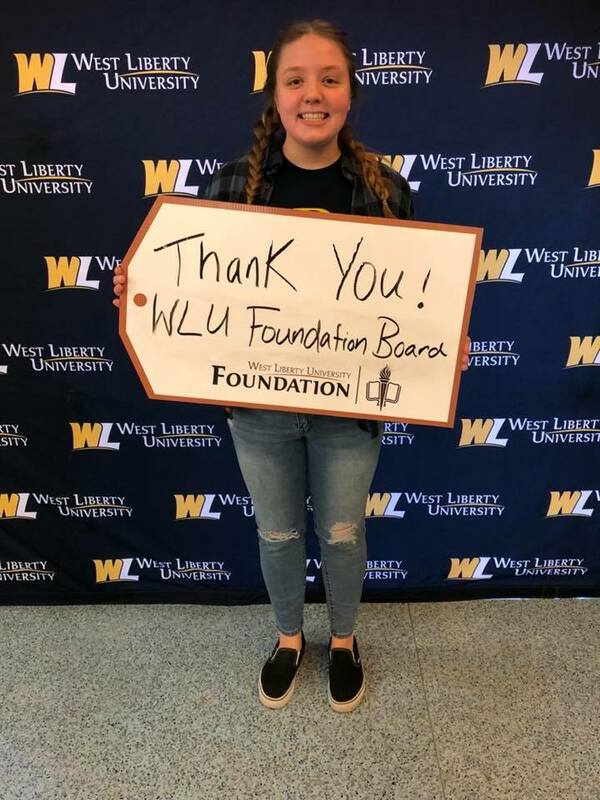 Thanks to our generous alumni, friends and partners of WLU! 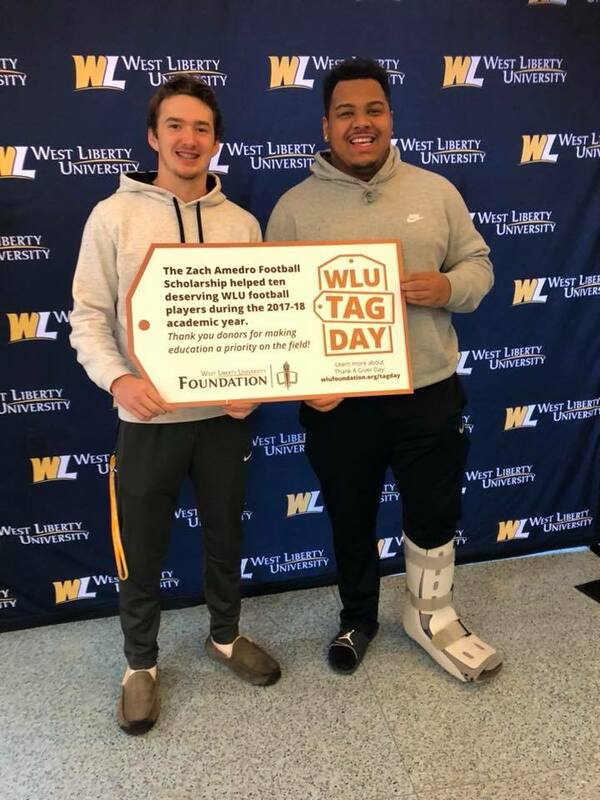 The Joseph A. Bartell Memorial Scholarship continues to help deserving WLU student athletics. 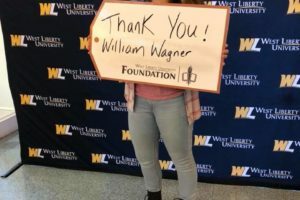 Let’s say “Thank You” to Andrew and Judith Bartell Paesani and other donors who contribute to scholarships for WLU students. 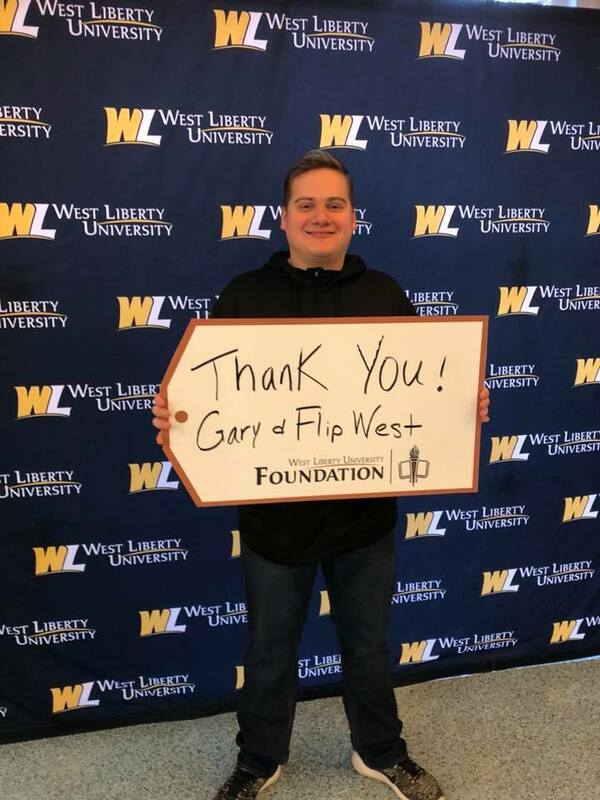 The West Family Athletic Complex was made possible by a generous donation from Gary & Flip West. Thank you! 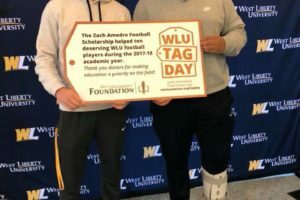 The Zach Amedro Football Scholarship helped ten deserving WLU football players during the 2017-18 academic year. Thank you donors for making education a priority on the field!